Races for the series will be featured live on the BBC Sport website, BBC iPlayer and BBC Red Button. One race this season will also be shown live on one of its network TV channels. The new Formula E season gets under way in Saudi Arabia on 15 December, and you can watch all 13 races live on the BBC. The all-electric series will take place in some of the most iconic and eye-catching cities in the world – from Marrakesh to Paris, with the season finale a double header in New York. This will be the fifth season of Formula E, and promises to be the most exciting and interesting so far, with some big names among the 11 teams and 22 drivers. So what is Formula E? And why should you watch it? Compared to some of its carbon-belching cousins, Formula E is considerably more friendly to the environment. The sport was developed with sustainability in mind, and the aim to “reduce our carbon footprint as much as possible”. It does this by powering its cars with a battery that uses 100% renewable fuel, and tyres that – as well as lasting an entire race – can also be recycled afterwards. Meanwhile, spectators are encouraged to use public transport to get to events, with no public parking available. One drawback with battery-powered cars is they have not had the capacity to last an entire race, resulting in the rather unusual (and somewhat gimmicky) sight of drivers having to swap cars mid-race. That will no longer happen – this season’s Gen2 car is fitted with a battery that will last from start to finish. 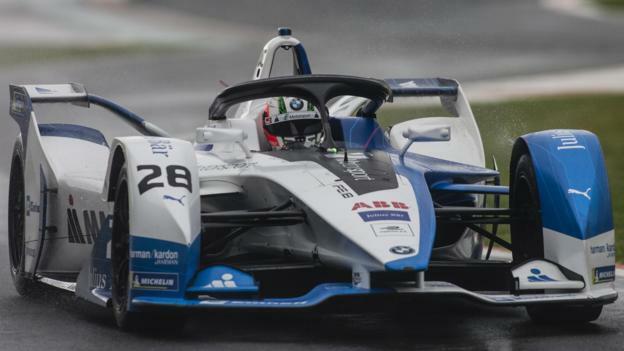 With the car-manufacturing world looking to switch to developing almost exclusively electric cars within the next couple of decades, Formula E provides them with the ideal arena to develop and test new technology at a competitive level. What’s different about Formula E? Formula E wants its fans to be more than simply spectators. ‘Fan boost’ has been a feature of the past few seasons, with viewers able to vote using an app to determine which driver gets some extra power during a race. Those attending ePrixs are also able to compete with actual drivers in virtual-racing events during race weekends. New for 2018-19 is ‘Attack Mode’ – akin to something from Mario Kart, this is another temporary speed boost that will be available to drivers during races. It will require drivers to take additional risks by moving off the racing line and on to a different area of the track, where the new mode will be activated, providing the car with a temporary power boost. The points system mirrors Formula 1 – 25 for the winner down to a single point for 10th place – but there are significant differences with motorsport’s most popular series. In Formula E, additional points are awarded for pole position and fastest lap, while races last for 45 minutes – half the length of a typical F1 grand prix. Who are the drivers and manufacturers? Perhaps the most significant addition to the line-up for this season is Felipe Massa. The former Ferrari and Williams driver retired from F1 last year and will this season race for Venturi in the all-electric series. The Brazilian will be reunited with former Williams reserve driver Susie Wolff, the first female team principal in Formula E.
Stoffel Vandoorne – Fernando Alonso’s team-mate at McLaren for the past two seasons – has also made the switch to Formula E and will race for HWA Racelab. Among the other competitors are Nick Heidfeld, who spent a decade in Formula 1, and former Toro Rosso driver Jean-Eric Vergne, who is the reigning champion. There will also be a strong British representation, with Sam Bird, Gary Paffett, Oliver Turvey, Oliver Rowland and Alexander Sims all on the grid. Among the manufacturers taking part are BMW, Audi, Jaguar and Nissan, while Mercedes, who have dominated F1 for the past five years, will enter Formula E in the 2019-20 season. What do the cars look like? When Formula E first arrived on the scene, one of the main criticisms of it was that cars were too slow for top-level single-seater racing. In 2014, the top speed of the cars was about 140mph, but this season they will be able to reach almost 180mph. That means they are edging closer to their Formula 1 counterparts, which can zip along at up to 230mph. However, the tight and twisty nature of street circuits will always make it difficult for Formula E cars to challenge an F1 car’s straight-line speed. The Gen2 cars also feature a significant change in look. With sleek bodywork featuring swooping arches, the cars have more than a passing resemblance to the Batmobile, marking a significant move away from the somewhat clumsy look of previous incarnations. With faster cars and a bolder look, Formula E has a real chance of making motorsport fans sit up and take notice this season. Motorsport events have often been the destination of choice for the rich and famous pretty much since the first Formula 1 championship way back in 1950, and celebrities continue to flock to F1 races around the world. However, thanks to its glamorous city-based locales and environmentally-friendly message, Formula E races are also proving popular with the stars, meaning celeb-spotting on a race weekend can often turn into a who’s who of the A-lister world. Titanic and Wolf of Wall Street star Leonardo DiCaprio is probably one of the most well-known celebrities connected to Formula E, with the American actor having co-founded the Venturi team that has competed in the series since its first season in 2014. Meanwhile, Chris Hemsworth, who plays Thor in the Marvel films and portrayed 1976 F1 champion James Hunt in Rush, and Lord of Rings star Orlando Bloom have both got behind the wheel of a Formula E car in recent years, while model and actress Emily Ratajkowski joined former F1 world champion Nico Rosberg for a spin in Berlin earlier this year.